$179,900 For full details, click on photo. Inviting Patio home with open floor plan and fenced yard. The great room has a high double boxed ceiling. Kitchen features large 20'' tile, stainless appliances including refrigerator, pantry, double closet for washer and dryer and entrance to spacious deck. Master bedroom has walk in closet with pocket door and Master Bath with double vanity. The guest bedrooms and tiled guest bath have their own wing. Earth cents construction with low-e-vinyl windows in all electric home. The fenced back yard is one of the larger lots in the neighborhood. 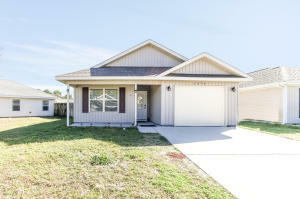 Convenient neighborhood located has access from Gulf Breeze Parkway and also from East Bay Boulevard. 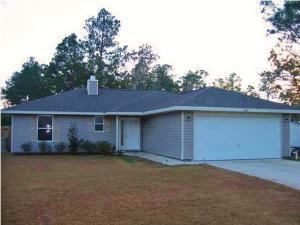 3 bedroom, 2 bath home with fireplace! Split floor plan and fenced backyard. Home sold "As Is". Waterfront Community Patio Home on cul de sac! Open light and bright 3 Bedroom, 2 Bath home with Porch has been newly painted and has new carpet in the great room and bedrooms. The home features a kitchen with new smooth top range, microwave, refrigerator, and breakfast bar. The Master Suite features a walk-in closet. The Kitchen, Great Room, Porch and Patio all flow together for easy living and entertaining. Other features are tile flooring in baths and kitchen and full irrigation system with well. Lighthouse Pointe is a Waterfront subdivision with a Waterfront picnic area and dock on the Santa Rosa Sound (Intercoastal). In addition the subdivision features sidewalks and 2 children's playgrounds. Enjoy walking, biking, fishing or just relaxing by the water. 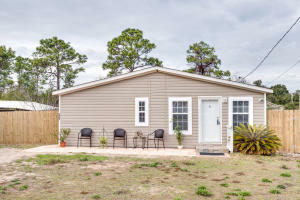 Only minutes to the white sugar sand beaches and emerald waters of the Gulf of Mexico at Navarre Beach, shopping, schools, Pensacola State College's Gulf Breeze campus, and the Gulf Breeze Zoo. Must See! Huge 4 Bedroom 3 Bath, 2400 sqft offers covered parking & fenced backyard. Located across the street from Cypress Tree Park, which offers baseball field, playground, and lots of space for your family to enjoy! This home features a living room plus a huge family room, an extra large kitchen, with an expansive breakfast bar. In addition, there is a large dining area. The Master bedroom has a master bath with double vanity, corner whirlpool garden tub and separate shower. 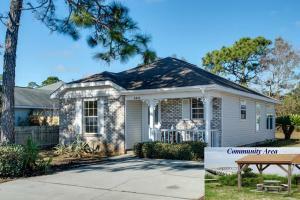 Be sure to see this incredible value that is convenient to schools, shopping and beaches.